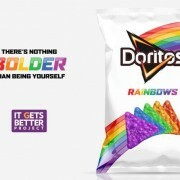 Doritos Rainbows released in the U.S.
Frito-Lay, the company which manufactures Doritos in U.S. has partnered with the ‘It Gets Better Project’ to launch the new, limited-edition Doritos Rainbows corn chips in ‘Cool Ranch’ flavour to celebrate and support the lesbian, gay, bisexual and transgender (LGBT) community. 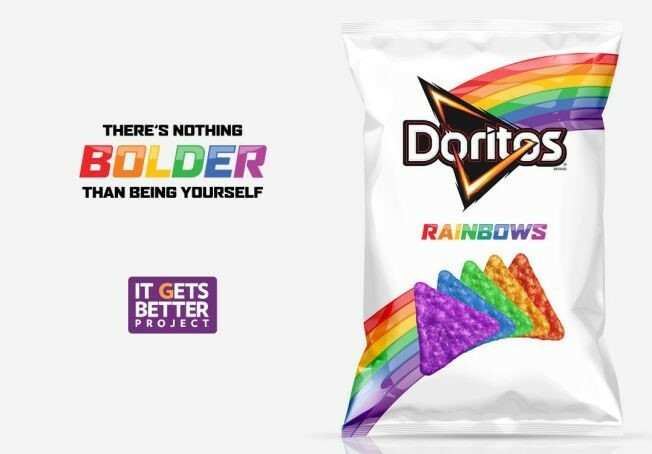 Doritos Rainbows is only available to U.S. consumers who donate US$10 or more in support of the ‘It Gets Better Project’, an organization that supports LGBT youth around the world. “Doritos supports the bold lives our fans lead—all of them,” the company wrote on the It Gets Better site. There is no word if Doritos Rainbows will be available in Australia at time of printing. 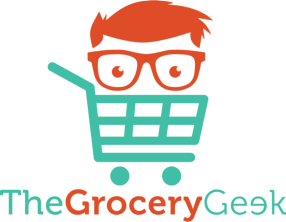 http://www.thegrocerygeek.com.au/wp-content/uploads/2015/10/Doritos-Rainbow.jpg 454 652 The Grocery Geek http://www.thegrocerygeek.com.au/wp-content/uploads/2016/02/TheGroceryGeek1.png The Grocery Geek2015-09-18 05:24:532015-10-22 11:33:28Doritos Rainbows released in the U.S.